Model 1426 Comby feature the lavatory housing measuring a width of 26 inches (660 mm). The lavatory bowl is oval. The toilet can be configured to be Angle Left, Angle Right, Left Offset or Right Offset. Fixture is arranged to be installed on finished wall through access panels. Panels are located on front and side of cabinet and are secured with tamper-resistant screws. 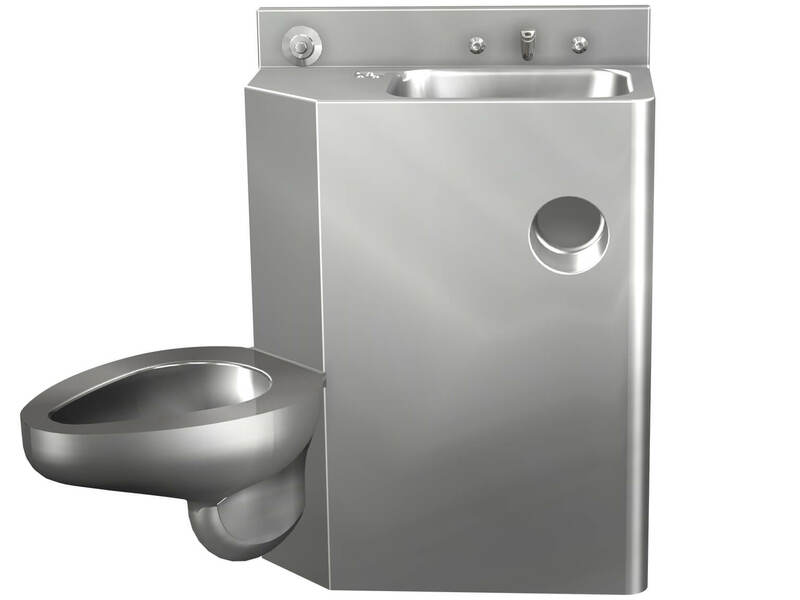 Model 1426FA Comby feature the lavatory housing measuring a width of 26 inches (660 mm). The lavatory bowl is oval. The toilet can be configured to be Angle Left, Angle Right, Left Offset or Right Offset. Fixture is arranged to be installed on finished wall and serviced from an accessible pipe chase.